The Gecko’s Hospitality Group family of restaurants is proud to announce that the National Restaurant Association Educational Foundation has honored the restaurant group by selecting it as a 2017 Florida Restaurant Neighbor Award winner. Each year, the National Restaurant Association Educational Foundation (“NRAEF”) recognizes outstanding restaurants around the country through these prestigious national awards. The awards honor restaurants that go above and beyond in community service and aim to inspire other restaurateurs to get or stay involved in their local communities. This selection marks the fifth consecutive year that Gecko’s Hospitality Group owners Michael Quillen and Mike Gowan have earned this distinction and commends 25 years of giving. Gecko’s will now compete with other state winners across the United States for the national award. One national winner will receive a $10,000 prize to support their favorite charity, to be awarded in March in Washington, D.C.
Gecko’s Grill & Pub has a decades-long history of serving as Business Partners with dozens of schools in Sarasota and Manatee County, providing Super Student Free Meals to tens of thousands of elementary students and supporting untold numbers of teams, projects, fundraisers, and Staff in area schools. Gecko’s is a benefactor of the non-profit Y Youth Shelter, which serves children 10-17 years of age who are homeless, Operation Second Chance and Operation Patriot Support, which serves America’s wounded, injured and ill combat veterans, and the Sarasota County 4-H Clubs and Foundation, which helps youth build better lives and become better stewards, employees, community citizens, and leaders. Through their independent family of restaurants, Quillen & Gowan support scores of other charitable groups. Quillen also personally serves on several community Boards, is a graduate of Leadership Florida, and is the past President of The Argus Foundation, a public policy community foundation which harnesses business leadership for effective community building. 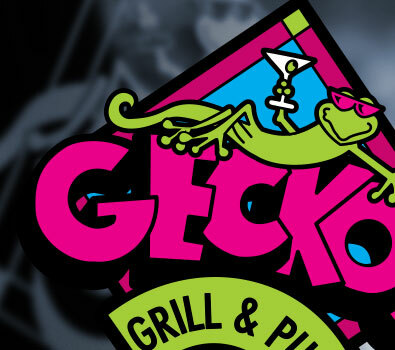 Gecko’s Grill & Pub has been locally owned and operated since 1992, and employs over 500 Floridians. Over their 25 year run, Gecko’s Grill & Pub’s has created steady economic stimulus, generating thousands of first-time jobs and career hospitality professionals, and has been consistently awarded “Best Of” in numerous categories. Quillen and Gowan’s venture, S’macks Burgers & Shakes, opened in Summer, 2013, and Longboat Key gem Dry Dock Waterfront Grill joined the GHG family in 2015. Dockside Waterfront Grill in Venice joined the fold in 2016, and, along with the legendary tavern, Red Barn Bar, fortifies the GHG’s mission to provide exceptional hospitality, fresh locally sourced fare with a gourmet twist, and a menu that is accessible to everyone. Founded in 1919, the National Restaurant Association is the leading business association for the restaurant industry, which comprises more than 1 million restaurant and foodservice outlets and a workforce of 14.4 million employees. Founded in 1987, the NRAEF is the philanthropic foundation of the National Restaurant Association. The NRAEF works to develop a stronger workforce and focuses on building the next generation of industry leaders. Florida’s hospitality industry – which represents a $108.8 billion economic driver and represents 1.4 million employees – is our State’s number one industry. For more information, please contact 941.921.3924, or office@geckoshospitality.com.